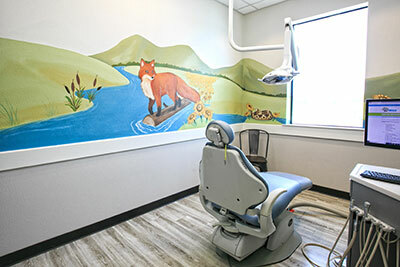 The dentists at Cibolo Pediatric Dentistry, focus on providing care for children of all ages, including those with special needs, by creating care plans, including pediatric hospital dentistry services that consider what is needed for each child. Our team provides pediatric dental care safely and effectively to ensure the highest level of quality for every patient. If your child requires oral surgery or extensive dental care that would best performed under IV medication, we partner with the Children’s Hospital of San Antonio to complete the dental care your child needs in a hospital environment. Our pediatric dental team may recommend hospital dentistry treatments be completed at the Children’s Hospital of San Antonio to provide the best outcome while your child sleeps comfortably under sedation. We are committed to making sure your child receives the dental care they need in a comfortable, calm environment with in-office sedation dentistry options. At Cibolo Pediatric Dentistry, we offer quality dental care to children of all ages. Financing plans are available and new patients are always welcome!